Challenger banks are here to do exactly that: to challenge the stranglehold the big banks have on your finances. Unlike their traditional counterparts, challenger banks aren’t burdened by legacy systems and cumbersome organisational structures such as major branch operations. Because most don’t offer a full suite of services, they’re also less hampered by regulatory requirements. The phenomenon of challenger banks is very strong in the UK compared to the rest of the world, with London being the centre of the fintech revolution. Traditional banks are feeling the pressure – in the years between 2015-17 more than a thousand high-street branches in the UK closed. It seems the future for challenger banks is bright and full of possibilities. The digital arena is steadily becoming the new financial playing field: from 2012-2017, consumer use across all banking apps increased by 356%, and it certainly shows no signs of slowing. With all the current buzz around this topic, we are very excited to have a key industry player Anne Boden joining us for our next networking event on the 21stof August! Anne is the founder and CEO of Starling Bank, one of the biggest and fastest-growing UK challenger banks. After a 30-year career in traditional banking, including roles at Lloyds Bank, Standard Chartered, UBS, ABN Amro, RBS and as chief operating officer of Allied Irish Bank, Anne began to explore how financial technology could transform customer’s everyday lives. In 2014, she set out to create a new kind of bank. 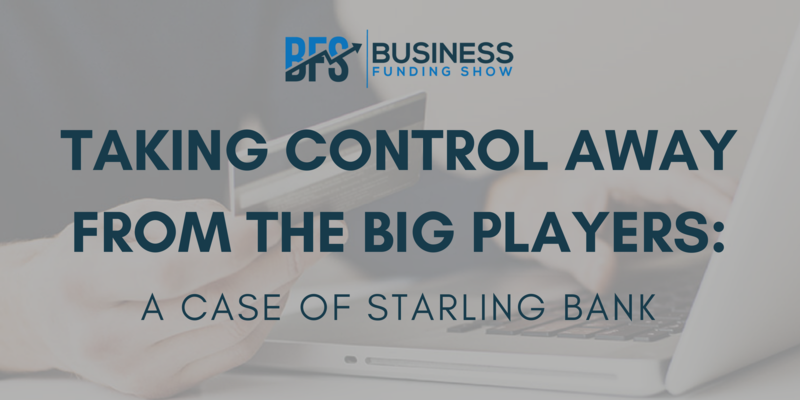 Starling has certainly come a very long way since then: it raised funding in 2015, gained its banking licence in 2016 and launched into the app stores as the UK’s first current account from a new digital bank in 2017. This year, Starling was voted Best British Bank in the Smart Money People Awards. Anne is certainly a role model not only for aspiring female entrepreneurs, but also an epitome of a successful woman in both the tech and finance sectors. Women have a tough time getting to the top in these industries, but Anne assures that once they do, they are pretty practiced and resilient. With a goal in mind of making the finance industry better, fairer and more streamlined, Anne has big ambitions for Starling Bank to eventually expand into Europe and establish a more inclusive customer base. We are seeing the same objectives across the fintech industry with players like Monzo, Atom Bank, TransferWise or Revolut, who are tackling areas like current accounts, mortgages, investments and currency exchange. With this amount of innovation, the industry is being disrupted at a record speed, and we are yet to see the full spectrum of effects this will have on the financial ecosystem. Want to meet Anne Boden as well as a number of other funders and industry leaders? Join us at our next event Summer Networking with Funders on Aug, 21st.